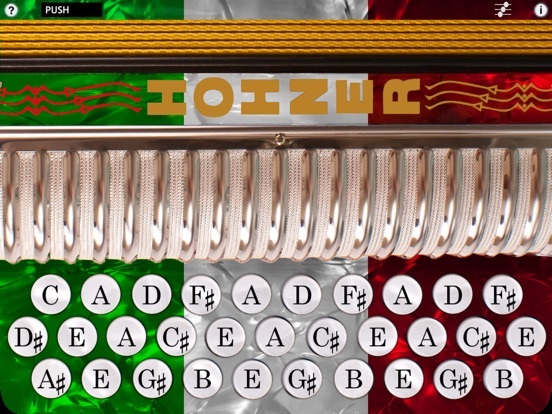 Based on Hohner's iconic Corona Classic diatonic accordion, this intuitive virtual accordion app feature a super responsive, three-row fingerboard that plays and sounds like the traditional instrument and now plays in all five of the most popular tones: EAD (Mi), FBbEb (Fa), GCF (Sol), ADG, and BbEbAb. 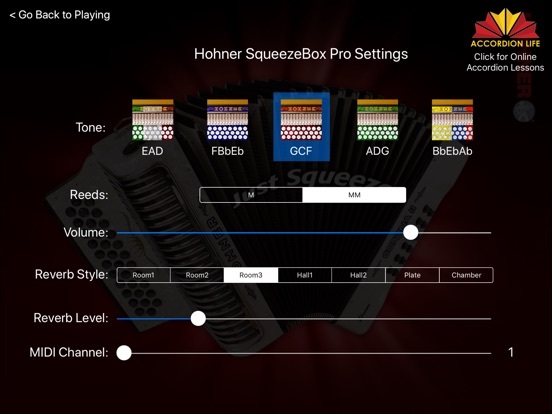 The Hohner SqueezeBox Pro app allows musicians to practice chord combinations, scales, and songs on-the-go. Practice in headphones, or plug into amplified speakers for live performance. Since you may want to play chords with more than 3 or 4 fingers, you'll need to turn off "Multitasking Gestures" in your iPad's Settings, under General/Multitasking Gestures. 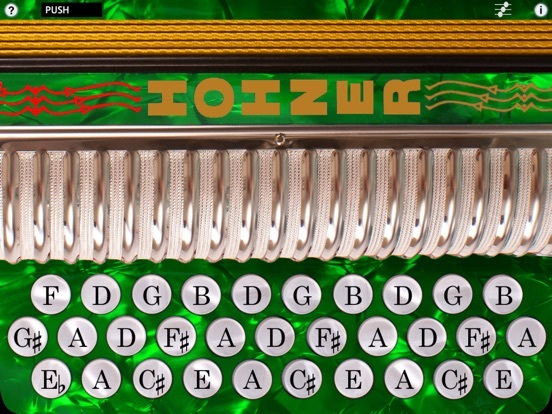 Touch the sliders icon at the upper right side of the screen to bring up the controls where you can select the tone (EAD, FBE, GCF, ADG, or BbEbAb), choose between M and MM reed sounds, and control the volume and reverb settings. Set the MIDI channel using the "MIDI Channel" slider. Touch the "?" 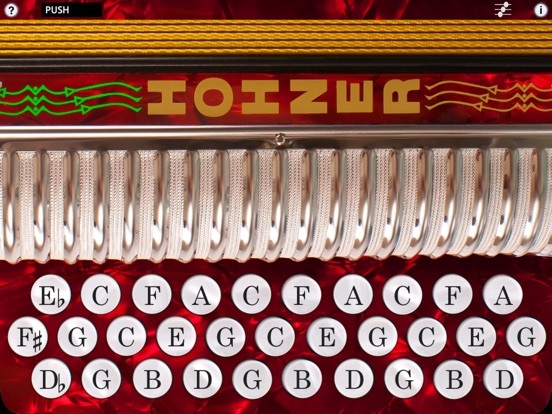 to cycle through the note tab and note name label styles. Touch the "i" button to bring up the help screen. 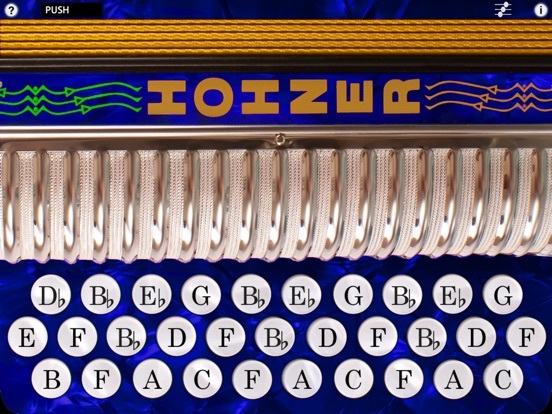 Touch the "Tabs" button at the top to bring up the list of song tabs. Touch the "T" button at the the top to show/hide the song tab display. All settings are saved when you exit the app and restored the next time you run it. Usability improvements for iOS 12.